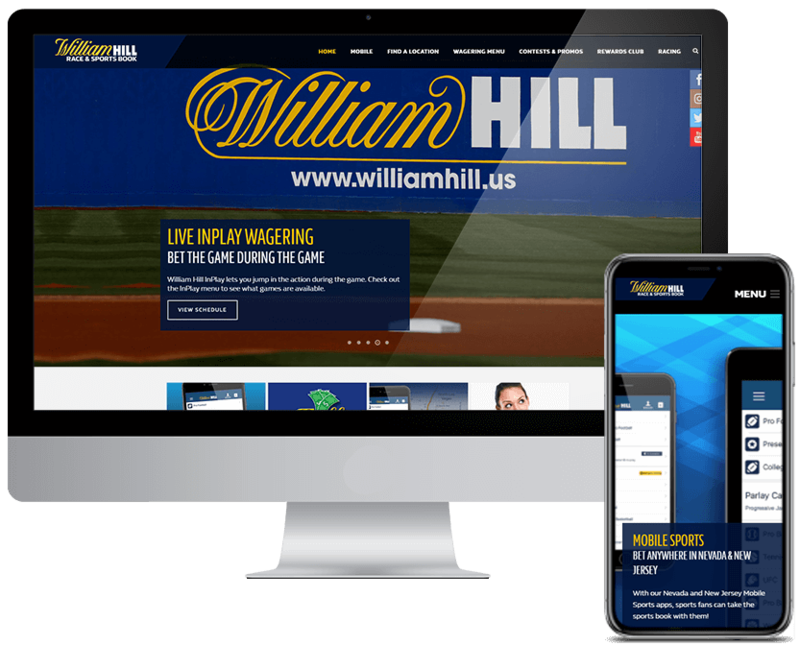 William Hill is the standard by which all other sportsbooks are measured – so it's no surprise that the London-based bookmaker expects to make a strong foray into the New Jersey online sports betting market. Armed with one of the largest selections of bet options on the planet, William Hill will appeal to both casual and hard-core bettors – though its web and app interface might seem a bit busy to novice users, it shouldn't take long for players to get comfortable. No online sportsbook welcomes a wider range of deposit options than William Hill; New Jersey residents can choose from a variety of deposit sources, including Visa/MasterCard, PayPal, and an assortment of other sites, including Neteller, Entropay, Maestro, and Skrill. William Hill is also the industry leader when it comes to promotions, offering multiple enticements to players throughout the year – including the option for players to cash out their bet before it has been settled. William Hill offers both quality and quantity when it comes to its bet offerings. Not only does it allow wagerers access to more than 500,000 betting markets per week on average – the overwhelming majority of games feature live betting options, allowing bettors to make dozens of wagers while the game is going on. There's a lot to see on the main William Hill screen – and that can be intimidating for novice bettors who might be inclined to seek out a simpler, less frenetic experience. But once bettors know what they're looking for, they'll be thrilled about the quick response time William Hill boasts compared to the majority of online sportsbooks out there. Few online books can compare to William Hill, who makes operators available 24 hours a day, seven days a week to address bettors' concerns via live chat. The wait times are often short, particularly at off-peak times. Bettors can also reach out via e-mail or phone if they're so inclined, though live chat remains the best way to seek assistance. From the Casino Reviews website: "Any information passed between the customer and the William Hill website is encrypted using SSL technology to ensure it cannot be intercepted by third parties. This protects customers from becoming victims of fraud. The SSL encryption technology is certified by Thawte, a leading company in the field of technical security." The minimum bet is $1, while the max bet depends on a number of factors, including sport and bet type. William Hill's maximum payout is $500,000; this is reserved for marquee leagues and events, like English Premier League soccer. There's a good chance the max payout will be similar for NFL, NBA and Major League Baseball.